In the darkest corner of southern Arabia, where no spotlights and no media have dared venture, because Riyadh has dropped down an iron wall, stands Yemen, a country interrupted - a bleeding humanitarian black hole and an institutional wasteland. But Yemen is not just any country. If anything, Yemen has already proven that while its people bleed bright red, their strength remains forged in a metal which no conqueror in history ever managed to bring to heel. Yemenis are not a conquered people, nor are they a people of conquerors - instead they are a kind and beautiful people. Yemen’s very soul, its walls, and its monuments, its mountains and its valleys still carry the memory of time immemorial, when prophets walked the Earth, and God spoke miracles. The legend says it was Shem; the son of Biblical patriarch Noah founded Sana’a, the capital of Yemen. A historical gem, Sana’a risks being forever annihilated by Riyadh - all in the name of political feudality. It is not indeed restoration the kingdom seeks in Yemen; former President Abd-Rabbu Mansour Hadi long lost whatever claim he had on the presidency. It is political and institutional enslavement al-Saud Royals are pursuing in Yemen, notwithstanding the anchoring of Wahhabism in Southern Arabia, the last religiously independent bastion in the region. 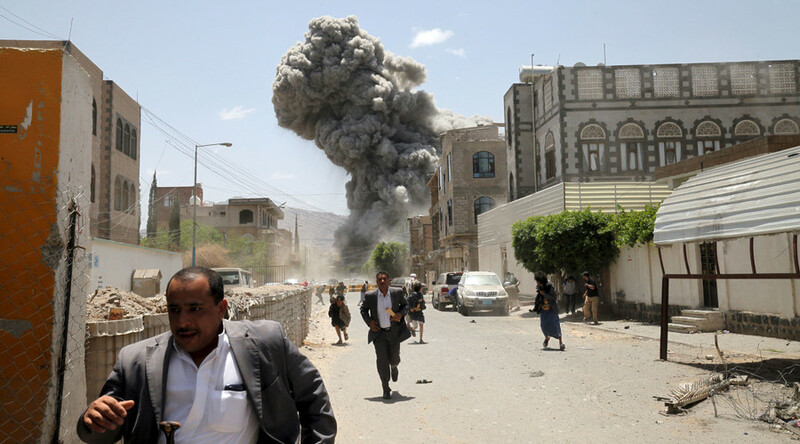 Yemen today has been earmarked for destruction. For ten interminable months the kingdom has ravaged this impoverished nation, raining death, cruelty and abomination with every cluster bomb, and every explosion. But if Yemen has been transformed into a grand pile of rubble, if its people have withered under the atrocities of a humanitarian blockade which has prevented food, medicine and all supplies to get through, tenacity and incredible resolve before adversity have allowed for a social rebirth - the cornerstone of a social resistance movement which speaks of Yemenis’ strength of character. “Where most people’s knees would have buckled before the deaths, the rivers of blood and the pain of losing loved ones: Yemenis have anchored their feet deep in this land which is theirs, sharing in the hardship by leaning on one another. I have seldom witnessed such determination in the face of abject poverty,” said Dr Riaz Karim, a philanthropist and founder of the Mona Relief Organization - one of Yemen’s most active independent NGOs. “No communities have been spared … war has decimated entire families, leaving behind agony and terrible memories filled with fire, fearful screams and the smell of burning flesh. War cannot be measured by the structural damages it causes - war, burns in the heart of men long after the canons have been made quiet. Yemenis though have risen time and time again from the pyres lit by Saudi Arabia with grace and generosity, pulling together to resist together. 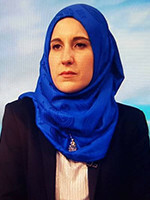 We owe such bravery to be told,” Dr Karim told me in an interview. In January, Riyadh targeted a police station in the heart of the Yemeni capital, killing at least 26 people and wounding 15 others. The toll is expected to rise, with locals saying as many as 30 others are unaccounted for and believed trapped under the debris. Last week, hospitals were bombed. Throughout this war, civilians have been systematically targeted in what people on the ground have called a clear attempt to erode Yemen’s popular resistance movement. Quietly, the resistance established a relay network across Yemen, allowing food staples and medicine to be caravanned across political lines - a new form of humanitarian resistance. Aneessa al-Dhahab, a trainee doctor, knows only too well the life line those volunteers have been for war-torn communities. “If not for them, my little brother would not have been able to get his insulin … in between our use of alternative medicine and the supplies we are getting from the resistance we have been able to keep my brother healthy,” she said. A brave young woman from Northern Yemen, Aneessa has, like thousands others, joined in this resistance network, working alongside communities to bring solace to others and foster hope. Indeed, if Yemen stands in ruin, its people have proven that nationalism can indeed move mountains when rooted in solidarity. This is the real face of Yemen.